Beat the Summer Humidity With Our Help! The summers in New York can be notoriously humid, turning what would normally be pleasantly warm weather into something much more unpleasant. It’s not that the high moisture levels is making that day any hotter. 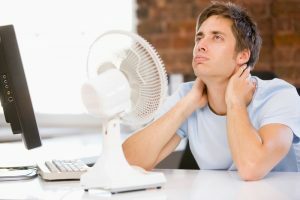 What’s actually happening is the moisture in the air is making it harder for your body to release heat—and when there’s more heat trapped in your body, the temperature will feel around 10°F hotter than it is! There’s not much you can do about humidity when you’re outside, but with our help you can significantly improve humid conditions inside your home. You’ll enjoy better comfort and energy savings, and you’ll even help protect furnishings and keep out unhealthy molds. Posted in Indoor Air Quality | Comments Off on Beat the Summer Humidity With Our Help! It’s not quite full spring weather yet here in Staten Island, but it’s definitely the time to start preparing for it. One of the essential steps is to schedule maintenance for your air conditioning system or heat pump so that it’s ready to go when the first heat hits. But you can also take this time to help improve ventilation for the summer. It’s an unfortunate fact of modern living that houses are so well sealed against the outdoor weather to help them stay energy efficient that they don’t allow for proper fresh air circulation. But if you open up the windows in your house during the summer, what happens? Yes, heat comes in along with the fresh air, and that’s uncomfortable. You can blast the AC to try to overcome the heat, but then your electric bills start to rise. 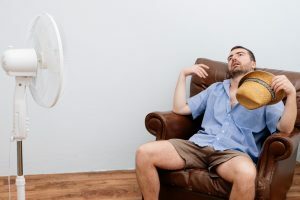 There is a solution to this problem you can have installed in your ventilation system before summer heat arrives: the energy recovery ventilator (ERV). Winter brings with it more comfort challenges in a home than just ensuring everybody stays warm when the temperatures outside dive. Indoor air quality can become a serious issue because a home is frequently sealed off against the outdoor air to prevent heat from escaping. 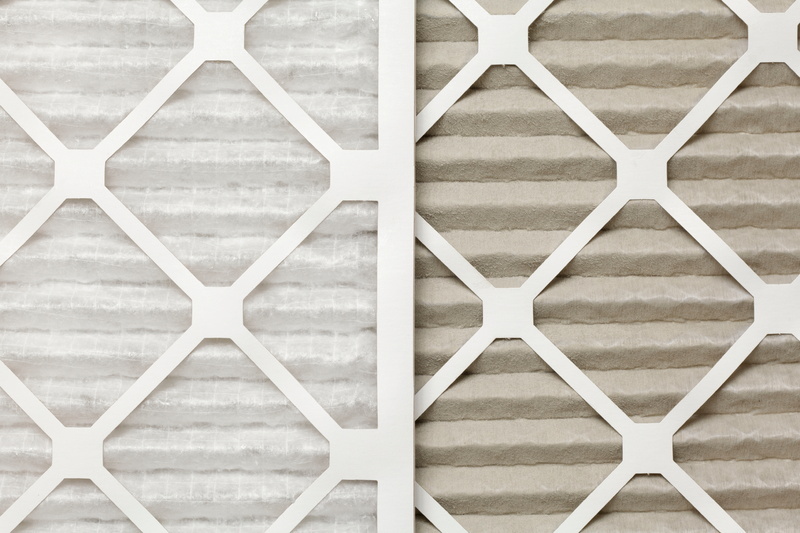 A sealed-up house will begin to develop stale, dry, and contaminant-filled air. 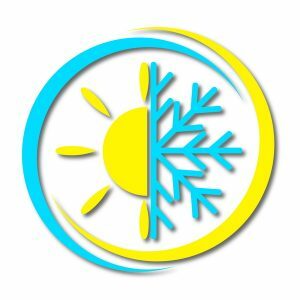 There are ways to boost indoor air quality during the winter that don’t require you to throw open the doors and windows and allow the outside chill to gust through the rooms while it’s freshening the air. Below are a few of the indoor air quality solutions we can offer you for a more comfortable, healthier winter. “It’s not so much the heat, it’s the humidity.” Everybody has heard a version of this saying before. People know that when humidity is high, a hot day feels worse. But why does it feel worse? And is an extremely dry day much better? Is there an ideal between too humid and too dry? And what can you do to achieve that ideal in your house? Spring always brings with it good news: warmer weather! It might come a bit later in spring than earlier, but it gets here no matter what. 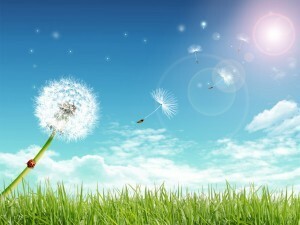 But the warmer weather often brings with it bad news: allergy season! After a rainy stretch of weather here in New York, when the weather starts to heat up it means plant blooms—and a subsequent spike in the pollen levels. There’s also a rise in the growth of mold and mildew, which further creates allergy problems. 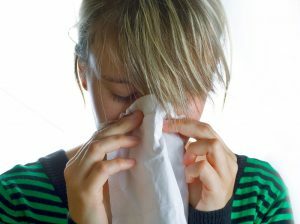 Now that allergy season is starting, you and other people in your household may be dealing with some unpleasant times because of airborne allergens. Sure, you can take medicine, but we have recommendations for how you can improve your home’s indoor air quality with the help of IAQ professionals. We offer excellent indoor air quality services in Staten Island, NY. Question: Where is the air quality worse, outside a home or inside? You’ll probably answer “outside,” since this is place people associate with pollution. But according to studies, the air quality inside a home (as well as other buildings) can be 3 to 4 times worse than the air outside! Why is this? It’s because a home has numerous sources of pollutants inside it. Just a short list: gas-using appliances, cosmetics, personal care products, hobby products, cleaning supplies, air fresheners, paint, varnish, and pressed wood products. Without any easy way for these contaminants to exit a home, they’ll soon start to build up. There’s a dilemma that homes face when it comes to receiving fresh air while staying warm during the winter. Modern homes are built to trap heat indoors and make them easier to keep comfortable. If cold drafts are getting into a home, it will be much harder to keep warm and the heater will have to run almost constantly. But this heavy insulation on the house also means there’s little chance to vent out the stale, often contaminant-filled air and replace it with fresh air.